In preparation for the OWASP Switzerland meeting on October 11th you should try to install the Hacking-Lab live CD. These are the simple steps I followed on a Windows 7 laptop. 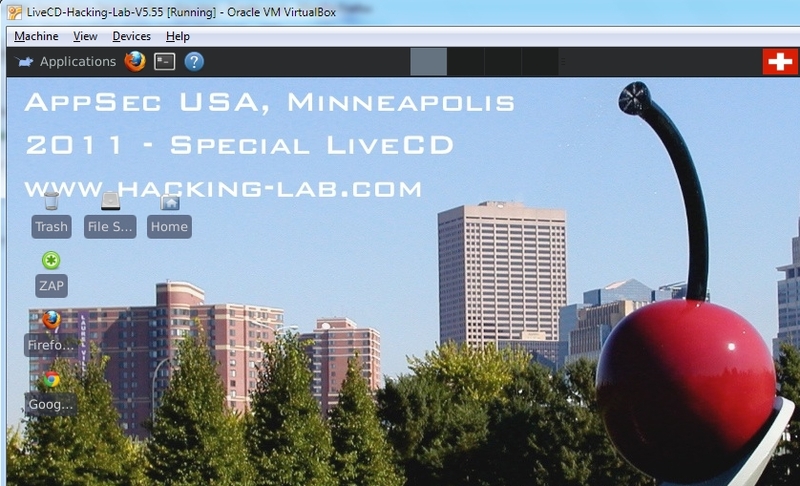 In theVirtual Box Manager left-hand pane double-click on the LiveCD-Hacking-Lab-V5.55 entry. The LiveCD should start and after a short while the Welcome screen as shown in Fig 2 should appear. You should be ready to go now at the OWASP meeting.